Knife Sharpener with Suction Pad - Convert All Your Dull Knives into New in Seconds! Why do we need knife sharpeners? There are so many reasons: dull knives are very dangerous, and you may cut yourself by accident; dull knives waste so much cooking time; spending a lot of money on new knives or just throwing away the dull knives is a big waste. With E-PRANCE manual knife sharpener, it will bring all your dull knives back to life. A sharp blade knife will make cooking much easier and make it safer to use. What Makes Our Kitchen Knife Sharpener Different? ● Sharpen Knives in Seconds: No need to throw away the old dull knives, this manual knife sharpener can recycle your old, dull knife and sharpen them back to life within seconds. 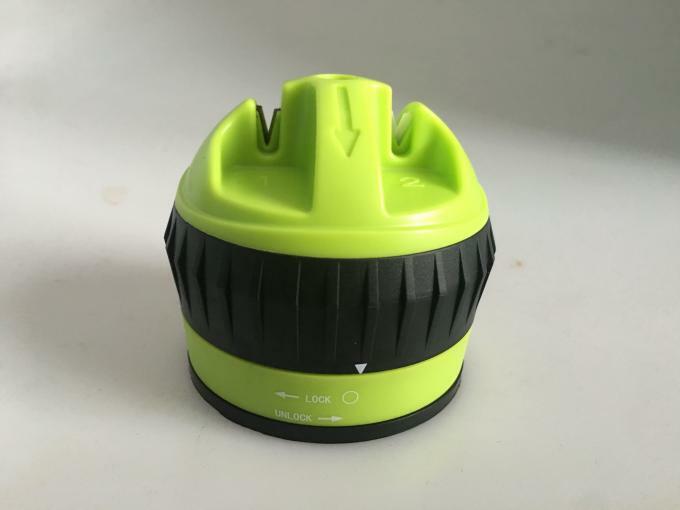 ● Suction Cup Base for Safe Using: This manual kitchen knife sharpener is designed for using safely. The suction cup base can attach to any smooth surfaces, such as laminated bench tops, glass, marble, gramite fiberglass. You can sharpen knives with one hand without holding the sharpener, so your hands will never get injured. The kitchen knife sharpener is suitable for multiple straight edge knives, such as kitchen knives, chisel knives, slicing knife, fruit knife, chef knife etc. ● 2 Stage Sharpening Wheel System: Stage 1: tungsten steel sharpening slot for coarse sharpening. It can grind a new edge for the dull knives. Stage 2: ceramic sharpening slot for fine honing. It brings the blade to a razor sharp edge. 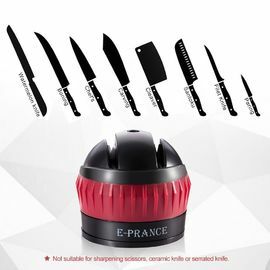 ● Lightweight & Portable: Compared with other big and heavy knife sharpeners, E-PRANCE knife sharpener is pocket-sized and lightweight. You can put it at countertop or in a drawer. You can also take it out for outdoor BBQ or cooking. Easy to use it whenever you need to sharpen knives. 1. Put the dull blade on the sharpening slot vertically. 2. Pull through backward from handle to blade tip (according to the arrows marks on the sharper). Use slot 1 first for coarse sharpening, and then use slot 2 for fine honing. 3. Pull through 3-8 times till the blade is sharpened to a razor sharp edge. 1. 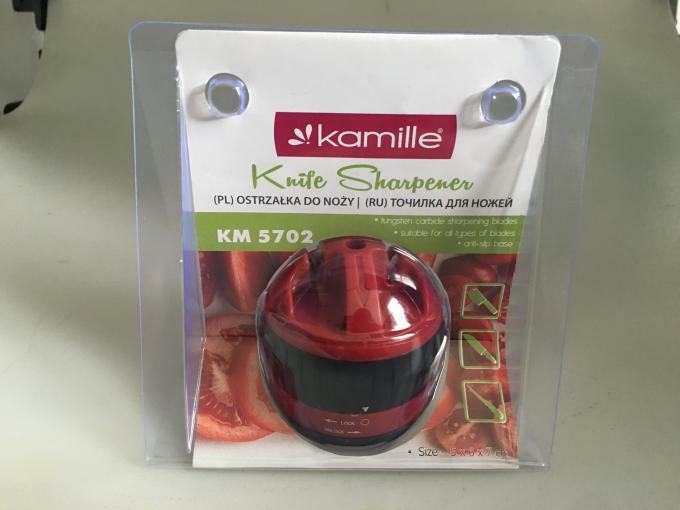 This product is NOT suitable for sharpening scissors, ceramic knives or serrated knives. 2. Please don't put the knife sharpener in a dishwasher or rinse in water. 3. Keep the knife sharpener away from children. 2.Material: New ABS plastic and high level tungsten.All material can pass CE.LFGB.FDA.REACH.TUV test. 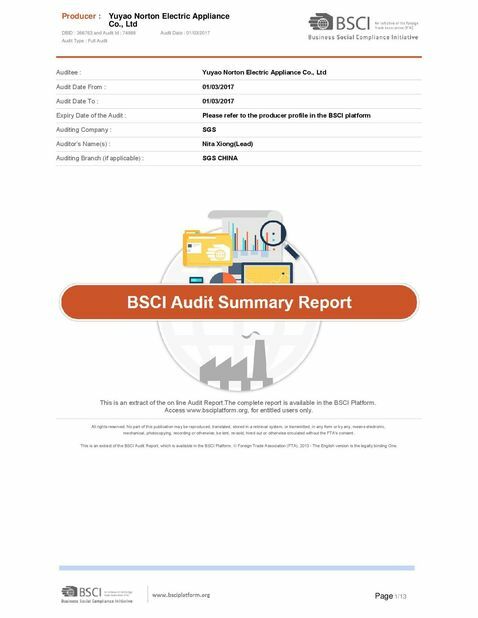 5.Cooperator: Our cooperator occupied all over the world. Especially US&EU market. Walmart. Carrefour. ALDI.LIDI.etc. 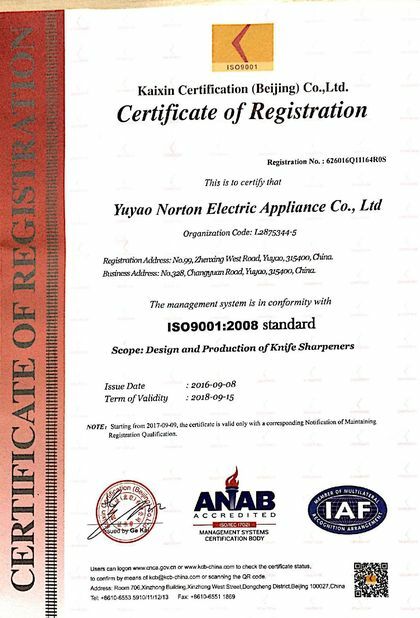 Welcome to become our valuable cooperator. 7.Customization: We accept to print client’s brand, also can do the customized color.OEM.ODM.OPM.